New research shows that having a group of friends can help a child’s resilience in the face of bullying. Surviving school bullies may be a numbers game. Having a group of friends to rely on rather than a single best friend appears to buffer bullied children from the emotional hurt dished out by their tormentors, according to new research involving over 1200 Melbourne primary school children and their parents. ‘A group of friends appears to protect the mental health of bullied children when just having a best friend makes little difference,’ says co-lead researcher on the project, Dr Lisa Mundy of the Murdoch Children’s Research Institute and the Department of Pediatrics at the University of Melbourne. ‘It makes sense that a group of friends would be protective. You would expect there to be safety in numbers. But it is surprising that having a best friend doesn’t appear to be protective,’ she says. The research, which was co-led by Associate Professor Jordana Bayer of the School of Psychology and Public Health at La Trobe University, suggests that actively promoting large friendship groups may be an effective new strategy for anti-bullying programs. Previous Murdoch Children’s research has shown that bullying is widespread in middle primary school with one-in-three of some 1000 eight-to-nine-year olds surveyed reporting being bullied at least once a week. Bullying is more than just a little teasing at school. Bullying, says Dr Mundy, is when kids are repeatedly harassed over an extended period, either verbally, online or physically. It is characterised by victims being made to feel inadequate by one or more bullies exercising of power over them. Rates of bullying among school kids are remarkably consistent internationally at 13-15 per cent of children aged 11 or more. 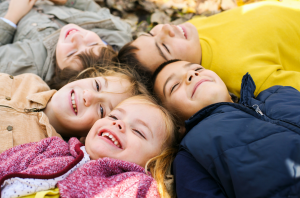 Less research has been done on younger children, but the higher rates among eight and nine-year-olds that Dr Mundy and her colleagues are finding suggests that younger children may be particularly vulnerable. Bullying can have long-lasting impacts on mental health with some studies suggesting that bullying at a young age can be a predictor of psychiatric problems more than ten years later. The link between bullying and poorer mental health is well established. A 2005 study of over 123,000 children across 28 countries found that in every country frequent bullying was associated with poorer mental health, including a link between bullying in adolescence and depression in later life. Frequent is usually defined as experiencing bullying at least once a week. The Murdoch Children’s study involved children self-reporting on their mental health, bullying experience and friendship situation, matched with a survey of their parents. ‘That is one of the strengths of this study in that it covers both parents and children,’ says Dr Mundy. Participants were recruited from the ongoing Childhood to Adolescence Transition Study. Not surprisingly, the surveys found that children with groups of friends were less likely to be bullied than those with no groups of friends. Among the 356 children experiencing frequent bullying, 15 per cent had no groups of friends, while among those not being frequently bullied, only 5 per cent had no groups of friends. But having a best friend made little difference. Among bullied kids, some 93.5 per cent had a best friend compared with 92.4 per cent among kids not experiencing frequent bullying. Bullied children with groups of friends were found to be less affected in their emotional well-being than bullied children with no friends or just a best friend. That is, they and their parents reported less sadness and anxiety. Just having a best friend made little difference. Dr Mundy emphasises that the results only suggest an association between friendship group and the incidence of bullying and its mental impact. While it may be that not having a group of friends facilitates bullying and worsens the mental impact of bullying, it may also be that bullying and poorer mental health leads children to have fewer friends. While more research is needed, she says the results do suggest that when it comes to anti-bullying interventions it may be worth teachers and parents facilitating group activities that promote friendship groups. These could include a greater focus on group play and tasks, as opposed to paired activities, she says. ‘Interventions are shown to work best when the whole school community – parents, teachers, and children – are involved. But even so, the interventions we have aren’t proving as effective as we’d like them to be,’ says Dr Mundy.